Lag B’Omer is the death anniversary of Rabbi Shimon. This day is well documented in the book of the Idra Zuta. On that day fire surrounded the house of Rabbi Shimon. We read that story many times before but did we stop to ask: Why? Why fire? What was its purpose? How does it affect us and our connection to Rabbi Shimon on Lag B’Omer. I will explain the issue of fire below. We already learned on Daily Zohar that to achieve higher spiritual level we need to create affinity with the source that we want to connect to in order to draw from its light. When we come to connect to Rabbi Shimon, especially on his death anniversary, we need to know first about the root of his soul. 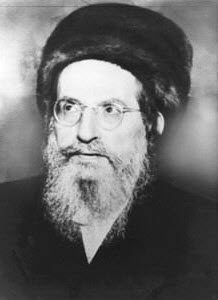 Rabbi Shimon bar Yochai, author of the Zohar, was the reincarnation of Achiya Hashiloni. And, Rabbi Moshe Cordovero–the Rammak–revealed that part of Rabbi Shimon’s soul was also that of Zechariah ben Yehoyada HaCohen. Learning about the life and actions of these two individuals will help us understand the driving force of Rabbi Shimon. Like everyone else in the world, he came to make a correction and his was beyond the personal level. As the reincarnation of Achiya, Rabbi Shimon positioned himself to play an important role in the future. By writing the Zohar, he created a divine force that will bring about the final redemption. Moses and Elijah, both of whom visited Rabbi Shimon while he revealed the Zohar, stated that through its merit, humanity would be redeemed. (Moses came to assist Rabbi Shimon because Moses was the first redeemer and will also be the last one. And, Elijah the Prophet has the responsibility to announce the coming of Mashiach, the final redeemer.) As such, Rabbi Shimon has made the correction to the prophecy of Achiya that told about the destruction of the Holy Temple and the split of the nation. Understanding the events of two former lives of Rabbi Shimon teach us about his determination to hide from the rulers of his time and to create the perfect plan to bring about the final redemption. Thus, writing the Zohar can best be described as the work required of Rabbi Shimon to correct his soul and bring the third Holy Temple to the world. The fire from heavens that came down to consume the sacrifices in the Holy Temple created a spiritual opening that brought down light that cleansed impurities that the sacrifice was offered for. On the day Rabbi Shimon planned to leave this world fire from heavens descended and surrounded Rabbi Shimon. It gave him protection and opened a pure path for his soul ascending the upper worlds. On Lag B’Omer we experience closeness to that channel that Rabbi Shimon opened for us. Best connection is to light a candle and study the Idra Zuta. Why was Rabbi Shimon called בוצינא קדישא “Holy Candle”? בוצין is a special plant (common name: Mullein, in Latin: Verbascum eremobium) that the fivers of its leaves were used for torches and as candle wicks. In older time candles were made of a vessel, oil and a wick. This plant has powers to remove negativity of witchcraft and evil eye. Rabbi Shimon was called Holy Candle because his study of the secrets of the Torah, which is the Zohar, provide protection on the highest level from all negativity. All we need is to set fire to our hearts and study the Zohar.